After reading, watching and listening to the epic fictions like the Batman, Spiderman, Tintin, Superman etc, every human being once in his entire life says to himself , “Wish i had those superpowers!!!”.. And imagine how stupendous such an experience would be where one can jump off a building, lift up a huge rock, weave a web, solve a mystery, blow fire balls and play with swords. We even foolishly fancy for a life where we get to be the hero with all the superpowers and save the most beautiful woman on the planet from the gigantic monsters and make the world a better place to live. Well pinch yourself and realize that you are not dreaming any more… Action Games are loved, enjoyed and cherished by each every person. And when it comes to Action games of Android with the dramatic yet intense sound effect and the crystal clear 3D graphical interpretation, one can conveniently confess that “Dreams do come true”. Tech Entice after thorough survey have enlisted Top 10 of those Action games of Android in the year 2012. This game of Android is as enticing as it sounds. These heroes are supposed to fight against the enemies in order to protect the defensive towers and the main base. Besides these they also have to gain experience points, earn gold and purchase new equipments. It is an exciting strategy based game having ripping, breaking, stabbing and many such actions to empower their status. For all the Batman lovers, Android couldn’t afford delaying the release of this game. The Dark Knight Rises game has been globally appreciated. The plot of the game is also loosely associated with the plot of the movie, which makes the players even more addicted to it. Now one gets to be in the shoes of the superhero and fight against evil. This Android game is from Gameloft impeccably designed with a brilliant ambience and despite of its similarity with the blockbuster, the centre of attraction is how one gets to control Bruce Wayne through technology. Following the epic story of the same title, Android released this game with one clear vision stating that humans are the Heroes and aliens are the Villains. The player has to form a colony of expendables to safeguard their planet from the attacks of aliens. It’s a thrilling experience with all the constant blowing up of boxes and barrels and continuous shooting. The game just doesn’t stop being fun. The main protagonist of this game is a lady with an unquenchable thirst for blood to satisfy which she brutally murders beasts that show up quite frequently and upgrade her weapons. The focal point of the game that grabs our attention is the graphical interpretation so intensely designed with blistering effects that despite of the gallons of blood scattered all over the player is more and more tempted to get atrocious exponentially. If you cherish actions like jumping from buildings to buildings and stabbing enemies, BackStab HD is for you!!! The main plot of the game is that the protagonist, Henry Blake, has been backstabbed by a friend who betrayed him and as a consequence of which Henry Blake ended up being in jail. With rage and vindictiveness, he manages to escape from the jail and sets out to take his revenge. It is a usual Gladiator game with defense mechanism bestowed upon the protagonist to fight against the cruel opponents which gets more and more huge as the tournaments are cleared. But what is not so usual is the energy potion that the player gets to drink during the game to empower himself against the attacks. And the player buys these potions from the money won after the victory in the previous fights. This is a mysterious fun game of Android which includes lots of action along with solving a mystery. The gist of the game is that the town has been infected by zombie infection and humans are turning into paranoid flesh eating creatures. In this chaotic situation, Andrew loses his daughter Lisa. Here is when the player gets to be the hero, help Andrew find his daughter, save the civilians from the infection and solve the mystery of sudden zombie appearances. The game includes so much that a player would never want to get rid of it. 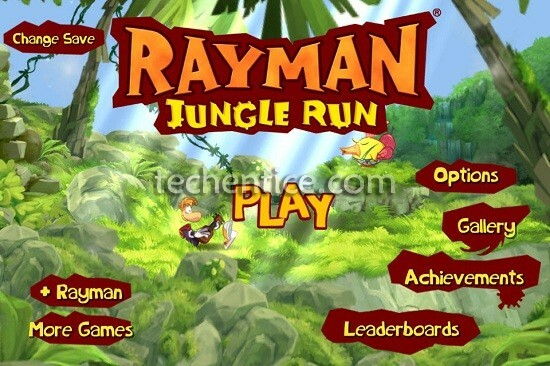 Rayman Jungle Run has been developed by Ubisoft and released by Android on account of its popular demand. As the name suggests it is runner-style game which makes the protagonist run till he reaches the end of the level with several stunts such as jumping, wall climbing, punching etc. The atmospheric details are implicitly fine and precise where the player knows where to run and where to jump. The player has to collect the golden coins to increase his points during the run. At the later stages of the game, it starts getting more challenging and captivating on account of the level that the game reaches and its attractiveness. With the increasing crowd of Zombies hungry for human brains Android’s Dante Zomventure needs the player to kill, stab, smash, grind, blast and burn the zombies with as much might as the player can give in. The sparkling ambience and the brilliant sound effect boosts up the motivation of the player to go for survival at any cost. The two exemplars Duncan and Katy fight against the invasion by the aliens and protect the world from them in this Android game. With astounding details of the environment, the game presents the player with 15 primary weapons and 4 secondary weapons using which they have to kill 19 different kinds of enemies and unlock each stage with bigger challenges.